After Louisa Sparks’s parents die in a car accident, she goes to live with her aloof Grandpa George in his large house in the south of France. Though Louisa often wishes for the moment of her parents’ departure back, it is not until she finds her grandfather’s mysterious old timepiece that she finds the power—and heavy responsibility—to change the fates of those around her. From there, Louisa is quickly whisked into the world of an adventuresome secret society, with dark dangers of its own. For members of the Dining and Social Club for Time Travellers are disappearing, and it is up to Louisa to find out what is happening before it is too late. 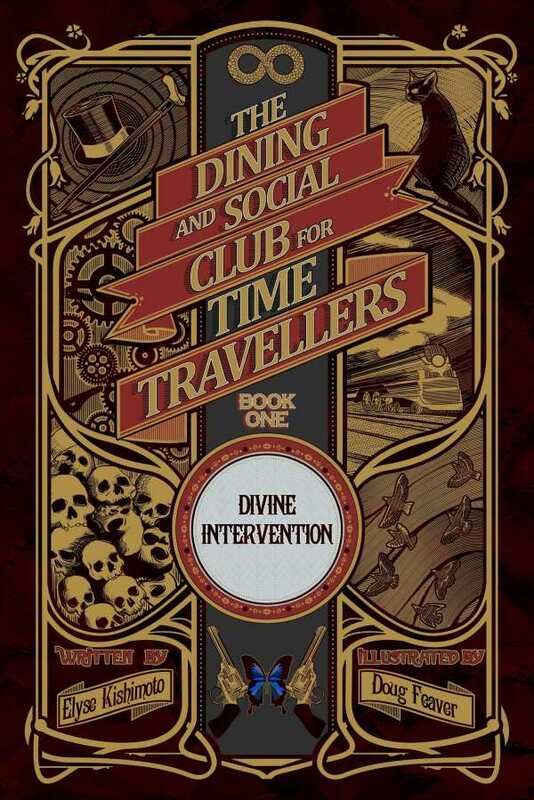 Divine Intervention, the first in the Dining and Social Club for Time Travellers series, features a gorgeous cover and delightful illustrations throughout. Written in an earnest, amusing style, the novel delivers a tale of friendship, family, and fate that is sure to please, offering a refreshing new take on the rules and consequences of time traveling.